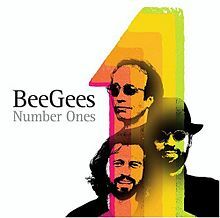 Bee Gees' 2004 compilation Number Ones re-enters The Billboard 200 at #5, just two weeks after Phil Collins' …Hits re-entered the chart at #6. The boost, in both cases, was due to Amazon MP3's aggressive 99-cent pricing for the digital version of the album. This is the brother trio's first appearance in the top 10 since September 1983, when it scored with the soundtrack to John Travolta's Staying Alive (an ill-advised sequel to Saturday Night Fever). There's a poignant aspect to this week's surge: Robin Gibb died on May 20. He would have no doubt loved seeing Bees Gees back in the top 10 alongside such contemporary acts as Rick Ross (who debuts at #1). As with Collins' …Hits, this is a tremendous bargain on a per-hit basis. 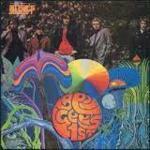 Number Ones contains 13 of the brothers' 15 top 10 hits. This comes out to less than eight cents per top 10 hit. You can't beat it! However, this will almost certainly be a short-lived surge. Collins' album went from sales of 40K the week it was on sale to fewer than 2K the following week and about 1K this week. Number Ones has far surpassed its original peak at #23 the week it debuted in November 2004. 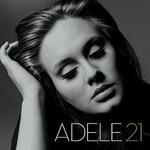 The album has sold 1,236,000 copies (combining sales from versions issued by two different record companies). It's the trio's ninth top 10 album. 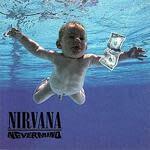 The tally includes three greatest hits albums, three studio albums, two soundtracks and a live album. 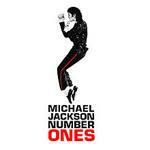 Number Ones also re-enters Top Catalog Albums at #1. It's the trio's third #1 album on the catalog chart. One Night Only topped the chart for two weeks in 2003. Greatest spent two weeks on top in 2007. Incidentally, Number Ones is the sixth album with a title that explicitly referenced an artist's chart-topping success to top the catalog chart. It follows The Beatles' 1, Elvis Presley's Elv1s: 30 #1 Hits, George Strait's 50 Number Ones, Michael Jackson's Number Ones and Elton John's Rocket Man: Number Ones. Fittingly, these are six of the biggest acts in chart history. 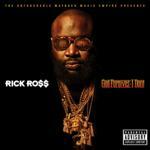 Rick Ross' God Forgives, I Don't enters the Billboard 200 at #1. It's Ross' fourth #1 album out of five releases. His first three albums, Port Of Miami, Trilla and Deeper Than Rap, all debuted at #1. His last album, Teflon Don, debuted and peaked at #2 in July 2010. It was stopped by Eminem's smash album Recovery, which was then in its fifth week at #1. God Forgives, I Don't sold 218K copies this week, which is more than the next six albums on this week's chart combined. Only one rap or hip-hop album so far this year has sold more copies in one week. Nicki Minaj's Pink Friday: Roman Reloaded sold 253K copies in its first week in April. This marks the biggest one-week sales tally of Ross' career. It breaks the mark he set in 2008 when Trilla sold 198K in its first week. Ross has now amassed as many #1 albums as another, more famous artist with that surname, Diana Ross. 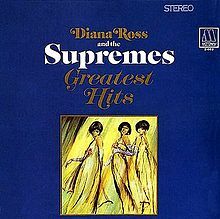 The star, who received a Grammy Lifetime Achievement Award in February, topped the chart with three Supremes albums (The Supremes A' Go-Go in 1966, Diana Ross And the Supremes' Greatest Hits in 1967 and TCB, a TV soundtrack with the Temptations, in 1969) and one on her own (the Lady Sings The Blues soundtrack in 1973). Ross' album sold 90K digital copies, which puts it at #1 on Top Digital Albums. 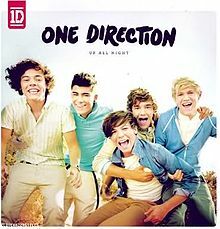 One Direction's Up All Night, which rebounds from #7 to #4, logs its 20th week in the top 10. 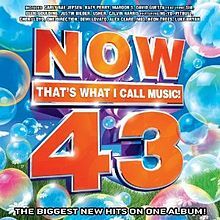 It's the first album by a boy band to spend 20 weeks in the top 10 since *NSYNC's No Strings Attached logged 31 weeks in the top 10 in 2000. The all-time record for most weeks in the top 10 for an album by a boy band is shared by New Kids On The Block's 1988 release Hangin' Tough and Backstreet Boys' 1997 release Backstreet Boys. Both albums logged 45 weeks in the top 10. In second place: Backstreet Boys' 1999 blockbuster Millennium, with 37 weeks. How close will 1D come to these marks? Stay tuned. One Direction's DVD Up All Night: The Live Tour is #1 for the 10th week on Top Music Videos. It sold 11K copies this week, bringing its 10-week total to 246K. Joss Stone's The Soul Sessions, Vol. 2 debuts at #10. It's the long-awaited sequel to Stone's 2003 EP The Soul Sessions, which peaked at #39. This is Stone's fourth top 10 album. Phillip Phillips' "Home" vaults from #47 to #1 on Hot Digital Songs, dethroning Flo Rida's "Whistle." The song, boosted by its prominent use in Olympics coverage, sold 228K copies. This is the song's first appearance in the top 10 since the week ending May 27, when it debuted at #2 (behind Carly Rae Jepsen's "Call Me Maybe") with sales of 278K. Because "Home" isn't yet getting much radio play, it's not a serious contender for #1 on the Hot 100. Will "Whistle" finally make it to #1 on the Hot 100, or will Katy Perry's "Wide Awake" sneak in there first? (Or can "Call Me Maybe" hold on for a ninth straight week?) You'll find out later today when we post Chart Watch: Songs. The Top Five: Rick Ross' God Forgives, I Don't debuts at #1 (218K). It's Ross' fourth #1 album; his fifth to make the top five…Zac Brown Band's Uncaged dips from #1 to #2 in its fourth week (39K). It has been #1 or #2 the entire time. The album is #1 on Top Country Albums for the fourth week… Justin Bieber's Believe rebounds from #6 to #3 in its seventh week (35K). It has been in the top 10 the entire time… One Direction's Up All Night jumps from #7 to #4 in its 21st week (34K). This is its 20th week in the top 10…Bee Gees' Number Ones re-enters the chart at #5 (32K). This is the trio's ninth top 10 album. The Second Five: Nas' Life Is Good drops from #2 to #6 in its third week (32K). It has been in the top 10 the entire time…Kidz Bop Kidz' Kidz Bop 22 drops from #5 to #7 in its third week (31K). It has been in the top 10 the entire time…Adele's 21 inches up from #9 to #8 in its 76th week (29K). It has been in the top 10 the entire time… Maroon 5's Overexposed inches up from #10 to #9 in its sixth week (25K). It has been in the top 10 the entire time… Joss Stone's The Soul Sessions, Vol. 2 debuts at #10 (24K). This is Stone's fourth top 10 album. Three albums drop out of the top 10 this week. The Gaslight Anthem's Handwritten plummets from #3 to #38. Passion Pit's Gossamer drops from #4 to #25. Frank Ocean's Channel Orange drops from #8 to #14. Gloriana's A Thousand Miles Left Behind debuts at #11. This is the country trio's second top 15 album. 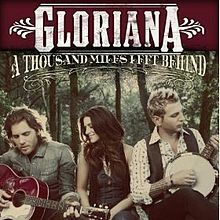 Gloriana hit #3 in 2009. 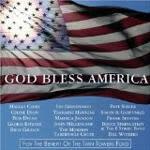 The new album enters Top Country Albums at #2, equaling Gloriana's peak. "(Kissed You) Good Night" is the trio's first top 10 hit on Hot Country Songs. It's in contention to reach #1 this week. Testament's 10th studio album Dark Roots Of Earth debuts at #12. It's the band's first top 20 (or even top 50) album in a career which dates to 1987… Amazon MP3's 99-cent sale also boosted the sales of James Taylor's Greatest Hits, which re-enters the chart at #15. This is the album's highest ranking to date. It peaked at #23 when it was first released in 1976. 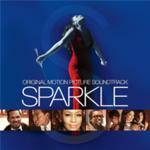 The soundtrack to the remake of Sparkle debuts at #26. Jordin Sparks and Whitney Houston star in the movie, which is a remake of a 1976 movie which starred Irene Cara. Sparkle is the fourth hit soundtrack from a movie starring or co-starring Houston. It follows The Bodyguard (#1 for 20 weeks in 1992-1993), Waiting To Exhale (#1 for five weeks in 1996) and The Preacher's Wife (#3 for two weeks in 1996-1997). Houston performs two songs on the soundtrack, including the gospel standard "His Eye Is On The Sparrow." Singer/actress Ethel Waters recorded the most famous version of the song. This marks the second time the song has been featured on a movie soundtrack. Tanya Blount & Lauryn Hill sang it on the 1993 soundtrack to Sister Act II: Back In The Habit. Sparkle enters the Top Soundtracks chart at #1, displacing The Dark Knight Rises. The soundtrack to the original 1976 movie was the top-ranking soundtrack for 20 weeks from June through October 1976. It peaked at #18 on The Billboard 200. 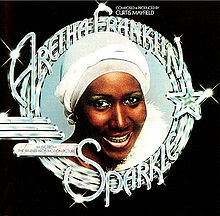 Aretha Franklin performed the songs on the soundtrack, which included the #1 R&B hit "Something He Can Feel." Curtis Mayfield composed the score. The Dark Knight Rises soundtrack drops from #17 to #39 in its third week. The movie was #1 at the box-office for the third straight weekend. Coming Attractions: Now 43 is expected to debut at #1 next week with sales in the 110K range. Elle Varner's Perfectly Imperfect and Colt Ford's Declaration Of Independence will probably debut at #6 and #9, respectively. Also due: John Mayer's live acoustic EP The Complete 2012 Performance Collection, We Walk The Line: A Celebration Of The Music Of Johnny Cash and 10 Years' Minus The Machine.